On 8 January, the US delegation consisting of senior officials, led by National Security Advisor John Bolton, visited Ankara and met with their Turkish counterparts. The Turkish presidential spokesman Ibrahim Kalin once again tried to direct baseless accusations to our forces following the meeting. He threatened all Syrians, particularly people of northern Syria, of invasion with the false accusations on our forces. In the areas freed by our forces as result of fierce battles against ISIS, with the creation of atmosphere of democracy, the people of the region formed their own administrative system and participated in the administration with their own free will. The democratic model created in our region has emerged as a solution to the ongoing conflict in Syria. Therefore, Turkey provides all kinds of support to the terrorist groups in order to disrupt the peace and stability in the region. 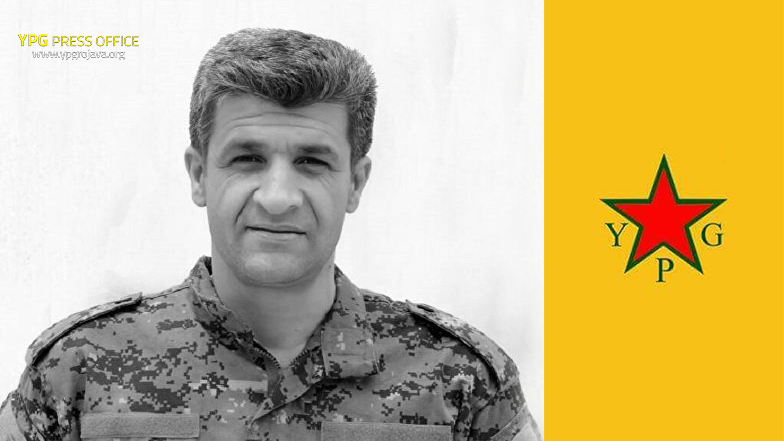 For years, the YPG and YPJ fighters have been unceasingly fighting ISIS to free the region of jihadism, sacrificing countless lives, which in return allowed people to create a democratic and peaceful order in the region. Our forces put up a great resistance against an international terrorist network on behalf of humanity and will continue to do so. Thousands of our comrades have been martyred for the welfare of our people, regardless of their ethnic and religious identities. Kurds, Arabs, Christians, Sunnis, Shi’ites and Yezidis have been protected from the brutality of extermist hardliners from all over the world. The allegations by the Turkish officials that our forces have violated fundamental human rights have nothing to do with the reality on the ground. Instead of making accusations, Turkey must reveal any documents or evidences regarding human rights violations by our forces, if there is any. Kalın's accusations are apparently set forth to legitimize and diplomatically back Turkish President Erdoğan’s ambitions to occupy our lands. They consider that they can justify their invasion attempts by such vague and false rhetoric. The public should know that this is a clear attempt to strengthen ISIS, and that this is a grave threat to our region. At a time that our units are still engaged in a heavy fighting in Middle Euphrates River Valley, Kalın’s call for taking back the armament provided by the global coalition against ISIS is a clear sign of Turkey’s desire to weaken the forces providing security and peace and facilitating the war on terrorism. From the beginning of the Syrian crisis, Turkey’s activities of supporting terrorism in our regions are still alive in the memory of the whole world. In 2012, before the eyes of everyone, Turkey provided al-Nusra with safe passage into Syria from its border town of Ceylanpinar. During the resistance of Kobanî in 2014, the government that is now represented by Kalın and other officials accusing our forces of human rights violations, took down Turkish flag on the grain silos located at the border in order to facilitate the occupation of the city by ISIS. In Afrin, the Turkish state has so far not allowed any media, legal institutions and human rights organizations to enter the city and document the crimes and daily atrocities of Turkish-backed jihadist groups against our people. All information obtained from Afrin in a short period of time, however, proves that these forces trained and funded by Turkey are engaged in a planned ethnic cleansing campaign against our people. The same crimes are also being committed on a daily basis in other Turkish occupied areas in Syria such as Azaz, Bab, Jarablus and Idlib. We want to stress that Turkey, which has been a jihadist safe-haven and passage route to Syria since the beginning of the conflict, has plans to invade the region end destroy the democracy created by blood of sons and daughters of this people. We are determined to protect the achievements of our revolution and the dignity of our people at all costs, just as we have done so far. Dozens of our partners in the global coalition against ISIS have witnessed this determination. We emphasize that our struggle is carried out within the framework of international agreements and universal law principles and we will improve our relations with all military forces in the light of this understanding.